QuickTime Movie of Maternal Behaviors (click here). Observation tanks were designed to provide identical conditions for each female and to provide social interaction along with safety. The nests for the females were equal half circles of PVC pipes. The shelters for males were terracotta pot pieces. The divider between the males (shown here as a dotted rectangle) was made of plastic with small holes to allow water to flow through. 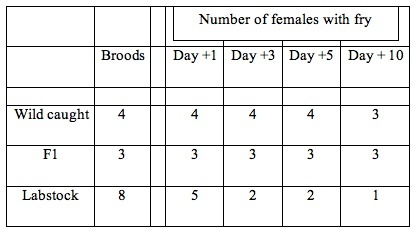 The dividers between males and females (shown here as a clear rectangle with a vertical black line down the middle) were a solid piece of acrylic. 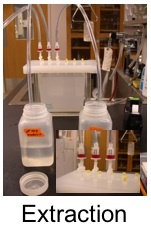 Hormone Measures:Because females could not retain a brood through blood drawing, and blood volume is too low for repeated measures, it was necessary to measure hormone levels excreted in water (Sebire et al. 2007; Ellis et al. 2007). This allowed minimal intervention, reduced stress, integration over time, and non-lethal measurements even with small fish. Females were placed in a 600 mL glass beaker filled with 300 mL of clean “Lake Tanganyika” conditioned water for exactly one hour. 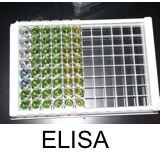 Samples were then filtered, extracted, eluted, and dried before stanard ELISA assays (Cayman Chemicals) could be used to quantify hormone levels. Maternal care and aggression were studied in two stocks of the maternal mouth brooding African cichlid fish, Astatotilapia burtoni. 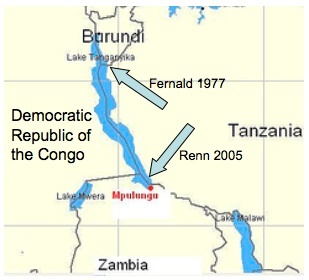 One stock has been in captivity for over 30 years (Fernald 1977) while the other was recently collected from the south end of Lake Tanganyika. While the behavior of A. burtoni males has been extensively characterized, the females had not been known to exhibit strong maternal behavior. This study demonstrates a behavioral difference between the two stocks. While the lab stock mothers eat their own fry, the newly caught wild stock successfully rear their broods. Using focal observations throughout the brooding phase and maternal phase the behavioral differences between these two stocks were more thoroughly characterized. 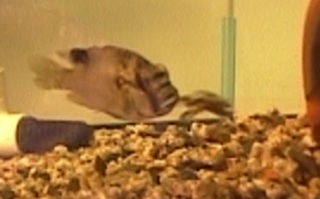 Brooding females were observed from spawning until approximately two weeks after release of the fry. It was found that Fls show more maternal care behaviors than Labstocks, such as taking their fry back into their mouths after release. 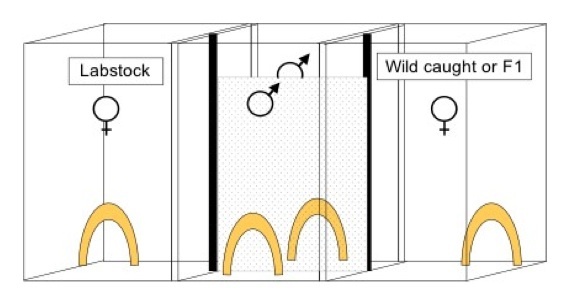 A most striking feature of the direct measures for aggression (attack intruder and attack male) is that attacks on the male were greatly reduced when the intruder was present in both stocks. It is as though the presence of the intruder distracted the females from their attacks on the males. The intruder seemed to function as a more immediate concern. Knocking was scored when fry attempted unsuccessfully to enter or reenter the mother’s mouth. This often, but not always, followed the bus stop behavior and often led to the fry eventually being accepted into the mother’s mouth. This behavior was likely to occur when the fry felt threatened, or just after the fry had been expelled from the mother’s mouth after a perceived threat had passed. This behavior could only be recorded for Labstocks when fry were still present. Knocking was seen almost exclusively in the F1 fry. 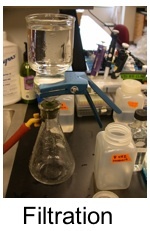 The F1s, and Labstocks, were also used for hormone sampling. 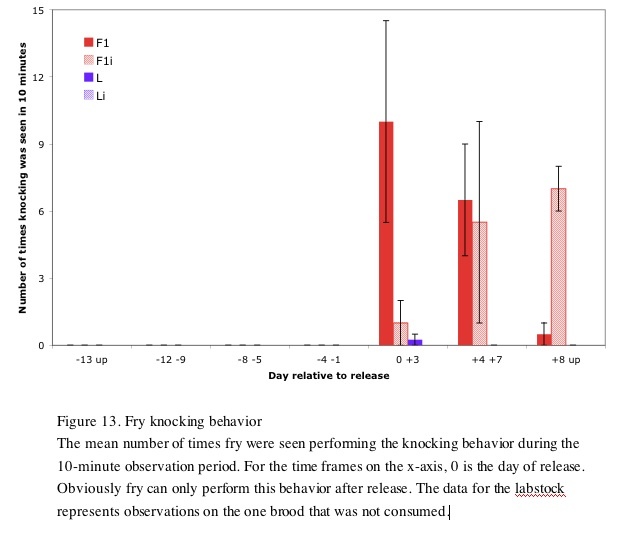 Hormone sampling was done at time points before and after release of the fry. Hormonal differences between the stocks suggest mechanisms for the behavioral differences seen between the two stocks. Testosterone is a hormone implicated in aggression and parental care (Hegner and Wingfield 1987; Moreno et al. 1999). 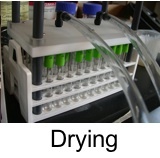 As seen below, testosterone levels were consistently higher in Labstocks than in F1s and rose as time passed. At the last time point, the concentration in Labstocks was much higher than that in F1s. A similar patterns was seen for estradiol levels. 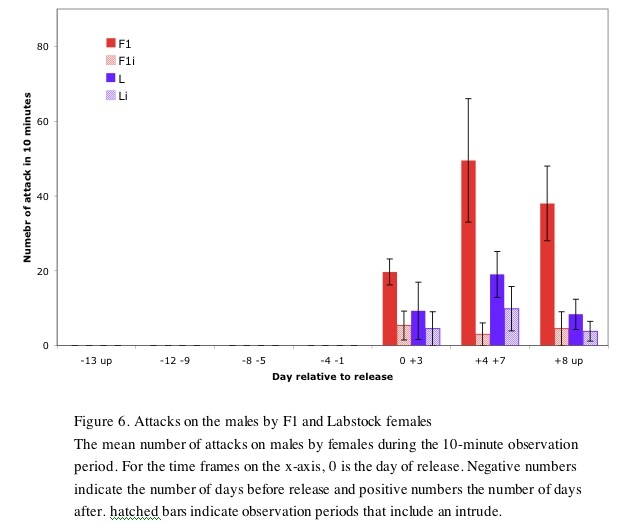 Interestingly, Progesterone, a hormone associated with maintaining pregnancy and also been associated with maternal care (Lonstein and Gammie 2002) was higher in F1s than in Labstocks before release and then reversed after release. 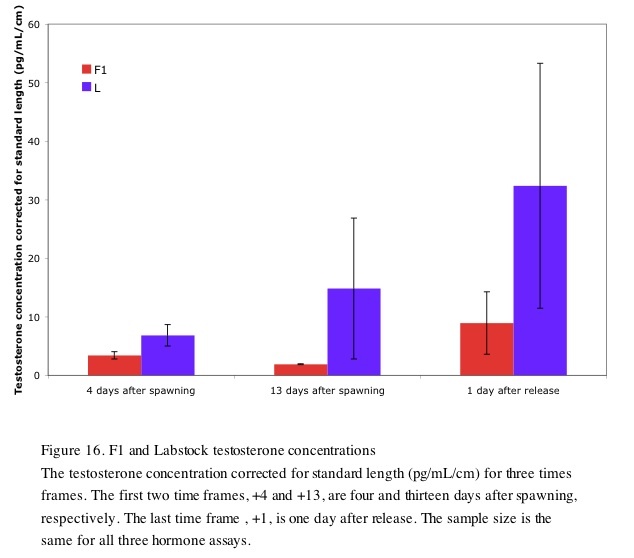 After release of the fry, the progesterone concentration measured for the F1s dropped sharply, while the concentration in Labstocks rose sharply. While the sample size was far too small to make any diffinitive statements, these data suggest that a drop in progesterone levels may be needed for maternal care, which was also found by Lonstein and Gammie (2002). Lonstein and Gammie (2002) reviewed a number of papers on hormone control of maternal behavior in rats and mice. They find evidence that a drop in progesterone levels, from the high levels found during pregnancy, is often needed to begin maternal care. The lower levels in Labstock before release could contribute to their having a longer brooding time, maybe by slowing fry maturation. 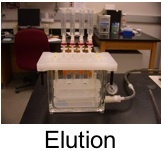 It could explain why Labstocks are more likely to slowly consume their fry and never release (personal observation). This research is the first time that maternal care and aggression have been studied in A. burtoni. While the males’ behavior is well defined, the females were not known before now to show any kind of maternal care or aggression. Furthermore, a way of testing hormonal regulation of maternal care and aggression was created with the possibility of doing further studies that manipulate hormone levels to create behavioral differences. Because steroid hormones are known transcription factors, further studies could also look at gene expression levels to determine the genes that regulate the hormone levels and behaviors seen.